What you do after prom is likely to be as memorable at prom itself, so make sure you put some concrete plans together with your friends well before the big day. Long Island is a great place to enjoy a range of after prom activities, whether you have a more refined taste and prefer to see a live stage performance, or miniature windmills and colorful golf balls are more your style. Check out these places and events that are great for after-prom events on Long Island! Most people think you need to go all the way to New York City to enjoy some excellent stand-up comedy performances. There are a handful of great comedy venues throughout Nassau and Suffolk County, and odds are there will be a great line-up waiting to perform on the night of your prom. Check out the events calendars at these Long Island comedy clubs. Governor's Comedy Club, located in Levittown, is known for hosting some of Long Island's best comedic performances. Jokerz Wild Comedy Club is a popular spot to check out live routines in central Long Island. McGuire's Comedy Club in Bohemia lets you sit back and enjoy the show, or take part in open mic nights. Late-dining restaurants in Nassau and Suffolk County, depending on the cuisine and what you order, are a perfect setting for winding down after prom. Diners are among the most casual options, but during prom season no one will be surprised to see a group of teenagers in formal wear packed into a crowded booth in a retro-style diner. You and your friends can reminisce about high school and your exciting evening over a late-night (or early morning) breakfast. After prom, catch a live performance of a musical or play at a local playhouse on Long Island, or get your fingers greasy with some extra-buttery popcorn, split a box of junior mints and catch a midnight showing of the biggest blockbuster of the week. Keep your ticket stub and save it for the after-prom page of your scrapbook! There's nothing wrong about ending an evening of camaraderie at prom with some friendly competition. 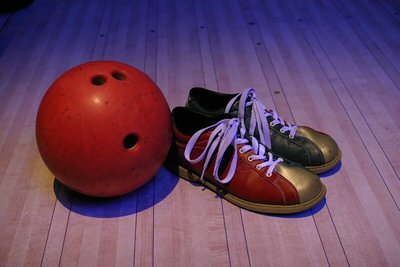 Long Island bowling alleys are always open late, and when it comes to bowling, that's when all the fun begins. You'll have to swap your formal shoes for some less attractive rentals, but this is sure to be fun evening for all. Mini golf is another slightly competitive, yet entirely fun and entertaining after-prom activity. If you and your group of friends are the kind who enjoy competitive team sports under the starry night sky, check out a mini golf course on Long Island. Accessories - Find out where to shop for prom accessories on Long Island. Prom on the Cheap - Find out how to have an awesome prom experience without going broke.